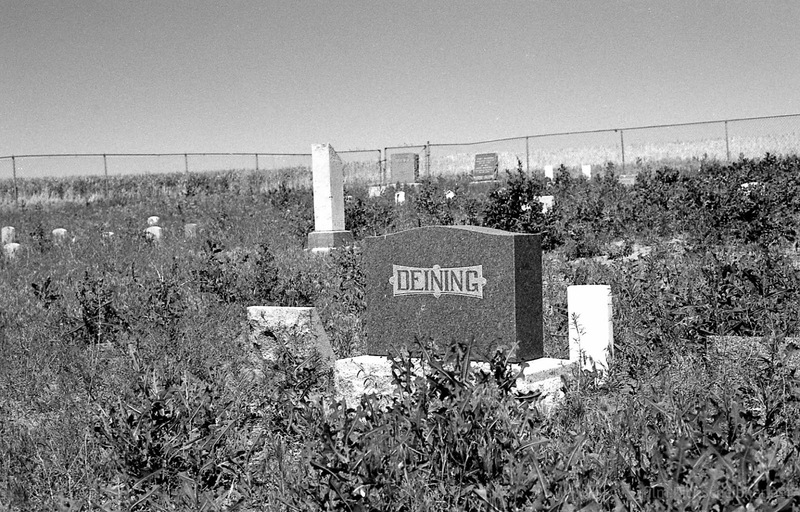 Rural cemeteries often tell intriguing stories about the past. For many, their final resting place just reflects who they were and what they did in life. 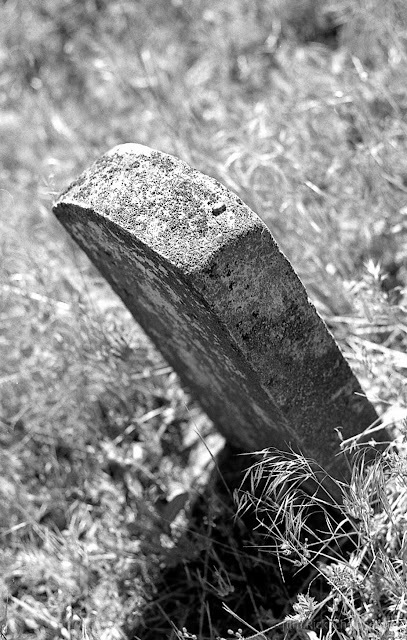 For instance, the small, ordinary headstone at the far edge of the graveyard, the one you have to be looking for to see. Or the prominent, patriarchal dual site of a husband and wife who spent their entire lives together, obviously prosperous and well loved, and surrounded by their offspring. Or a single date etched on a featureless marker, nearly eroded now after perhaps a century. 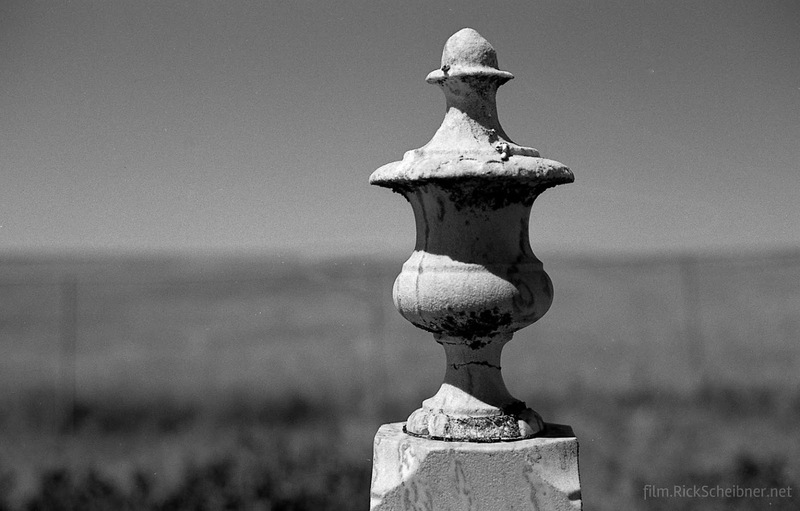 I am embarking on a project to visit these memorials and document their condition on film. My first location is the Finland Cemetery located just up a gravel road from the Greasewood Finnish Apostolic Church in rural NE Oregon. It is surrounded by wheat fields and is enclosed by a fence. 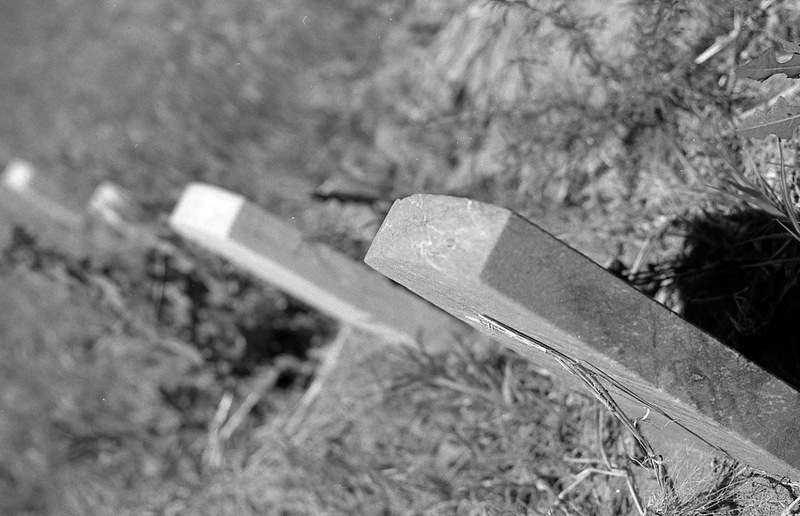 Although overgrown with weeds, an attempt has been made to maintain a map of the headstones at the gate. I may revisit this location at a future date and capture it in the morning with the light hitting the front of the cemetery. 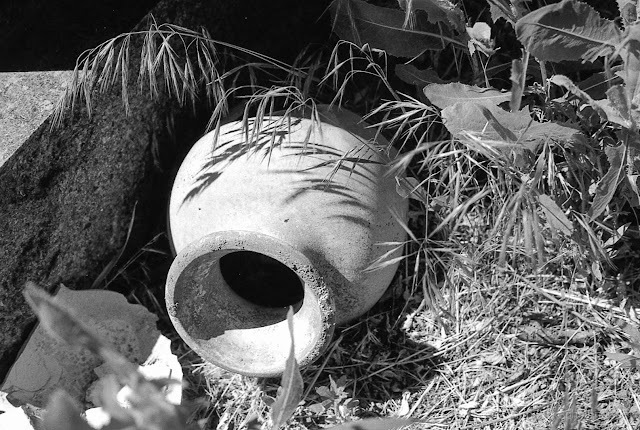 These photos were taken on 35mm Ilford PanF+ and developed in Rodinal 1:50 for 11 minutes.